Who is Doc On The Run? San Francisco Foot Expert, at Your Service! 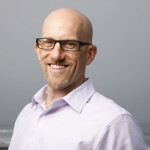 Our San Francisco based foot & ankle surgeon has a unique perspective on foot and ankle injuries. 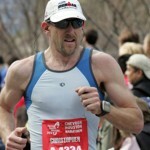 He is a rock climber, skier, marathon runner, and 14-time Ironman triathlete. Because of this, he understands when someone has an injury and wants to get better, it is just so they can get back to activity. He understands that the common doctor’s notion of “just stop running” or “find another hobby,” or “take up Scrabble” are all unacceptable to the athletically minded. He believes that any active athlete can suffer an injury yet return to sport stronger than ever. Dr. Segler completed his undergraduate studies in English and Biology, with independent research in Organic Chemistry, at the University of Houston. He went on to attend medical school in San Francisco at the California College of Podiatric Medicine. During medical school, Dr. Segler became actively involved in medical research and student government. He also became interested in developing innovations in foot and ankle surgery. He designed and patented the Tarsal Joint Distractor—a new surgical instrument to simplify foot and ankle surgical procedures—and went on to found a medical instrument firm, Tarsal Instruments, LLC, to manufacture and distribute his invention. Today, the Tarsal Joint Distractor is used by Orthopaedic and Podiatric Surgeons across the United States, in Canada, Australia, and New Zealand. After medical school, Dr. Segler went on to attend a 3-year Podiatric Surgical Residency at the University of Utah. His extensive training included trauma, limb salvage and surgical reconstruction, arthroscopic surgery, external fixation, and general podiatric surgical procedures. He has also had heavy training in biomechanics, wound care and inpatient medical management. In his final year of residency, Dr. Segler was selected to serve as Chief Resident where he was responsible for designing and overseeing academic, didactic, and research activities of thirteen podiatric surgical residents and fellows. Dr. Segler is extensively involved in medical research. He has currently published over 70 scientific papers and abstracts and has received several awards related to his research including the Award for Excellence in Research from California College of Podiatric Medicine as well as multiple awards from the American College of Foot and Ankle Surgeons and the American Podiatric Medical Association. He participates in numerous scientific conferences and has presented findings from his research at medical conferences in the US, Canada, and New Zealand. In addition to conducting research, he is active in the editorial process and has served as an editor and peer reviewer for multiple scholarly medical journals. He is also a contributing editor of the Journal of the Podiatric Medical Association. Dr. Segler’s achievements, all before even completing his residency training, have led to him being recognized in four separate editions of Marquis Who’s Who in America: Medicine and Healthcare, Science and Engineering and the 60th Diamond Anniversary editions. Dr. Segler has a keen interest in Sports Medicine and has lectured on running injuries and authored a chapter in a Sports Medicine textbook. On a more personal note, he has completed several marathons and is a 14-time Ironman Triathlon finisher with a personal best of 10:59:07. In addition to running, cycling and swimming he enjoys rock climbing, white-water kayaking, paragliding and water skiing. He has climbed El Capitan in Yosemite, attempted a new alpine climbing route in the Alaska Range, completed the swim from Alcatraz to San Francisco, and is a motorcycle road racing endurance champion. He has chosen to live and practice in the San Francisco Bay Area because it offers the widest range of outdoor activities, and is the most beautiful part of the world. My bursa issue under my right heel is now completely healed. I just finished an 8 mile run and absolutely no pain. Thank you so very much for the spot on diagnosis where so many had gone wrong. 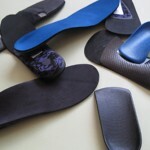 I had suffered for many years with foot problems, especially my left foot, to the point where I thought pain was normal! I had been to several podiatrists over the years with minimal results. I became a patient of Dr. Segler’s when he was practicing in Chattanooga, TN. He diagnosed the problems I was having, operated twice on my left foot and the pain is gone! He has given me a new lease on life. He is professional, skilled, and most important to me, he is a doctor who really cares about his patients. I will always be grateful to Dr. Segler. I am a runner with knee and back issues. I am also a nationally touring musician which makes it difficult to get health care when I need it. Given that we were in town for just one day with a jam-packed schedule, Dr. Segler, who is also a runner and very knowledgeable about my issues, actually drove into town and waited until our show ended well after midnight. He actually hand-casted me for my orthotics back stage in the dressing room after our gig. When my orthotics were ready, he shipped them to my home, free of charge.” Dr. Segler is very knowledgeable and provides a great service. Thanks you very much…. I was a patient of Dr. Seglers when he practicing in Chattanooga. As a medical professional in radiology, i know the importance of great foot care. I had several issues with my feet and Dr. Segler was successful in helping me become more pain free. He was also very helpful in lifestyle changes and products that i needed to make my life more easier. I am greatful for the care that I received from him while he was here. When not out doing house calls in San Francisco, Marin and the East Bay, he can be found riding over Mount Tam, swimming at Aquatic Park, or running along the Great Highway and Marina Green on his way to work. You may even bump into him high on a wall in Yosemite.